With the Thanksgiving break over, high school sports head inside for hoops, hockey, swimming, and indoor track. Winter tryouts and practices started on Monday afternoon. 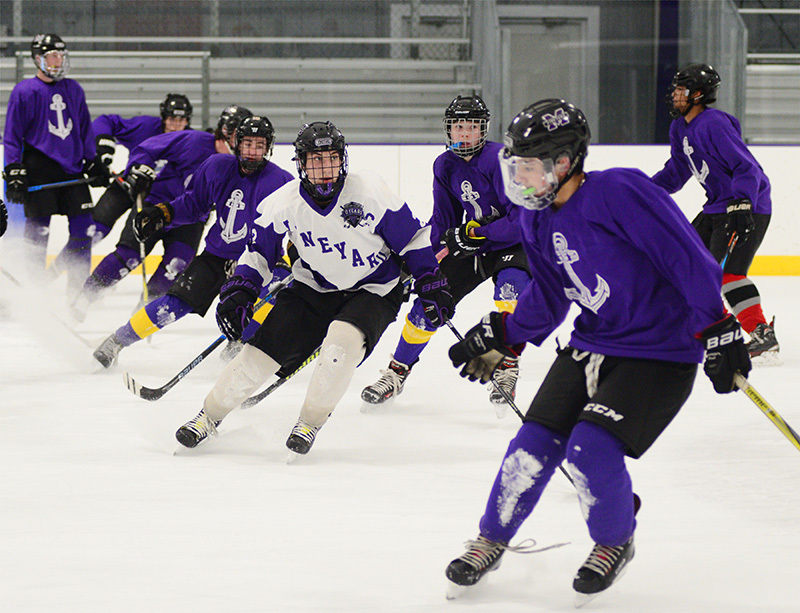 The girls and boys ice hockey teams both take to the ice for scrimmages this weekend at the Martha’s Vineyard Ice Arena. The boys host Lexington on Friday night at 7 pm, and play twice on Saturday, first against Oyster River of Durham, N.H., at noon and again at 5:30 pm versus Acton-Boxboro. The girls play a pair of scrimmages against Needham, Saturday night at 7 pm and Sunday at 10:30 am.